Note: Contacts records are stored within our system using the email address as the key. A single record per email address is stored per account. Email address and all standard contact fields are stored at the account level. This means that changes to the standard contact fields of an existing contact will be made globally wherever the contact is present. For more information: http://help.surveygizmo.com/help/article/link/global-vs-campaign-contact-fields. GET LIST - Get a list of all of your contacts for the specified survey and campaign. GET CONTACT - Get a information about a specified contact. Note: The unique link associated with the contact will be returned in the results of the create contact call. *These are the custom fields 1-10 that are available as part of the email campaign contact list. †These are the custom fields that are available as part of the account email lists. 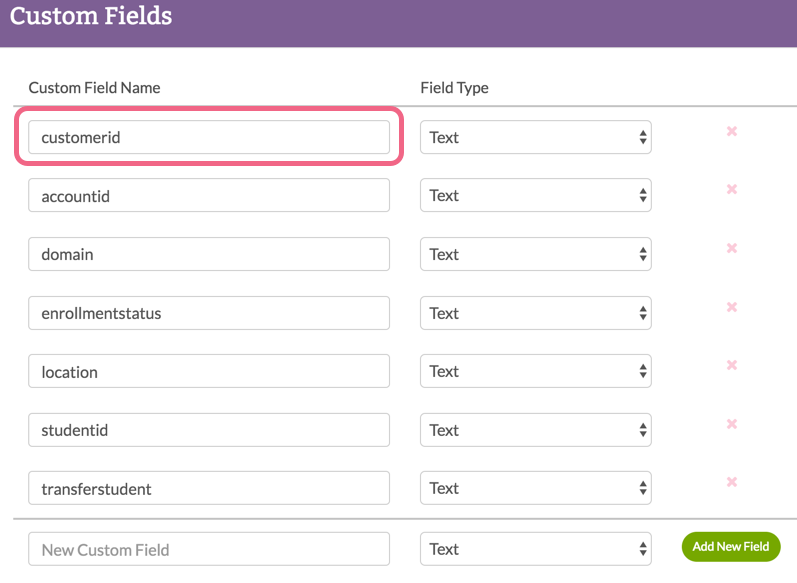 Learn how to get the field name for custom fields. ‡Creating a contact with the status "Inactive" will unsubscribe the contact from the email campaign. UPDATE CONTACT - Update a specified contact. ‡Updating the contact status to "Inactive" will unsubscribe the contact from the email campaign. DELETE CONTACT - Delete a specified contact. Go to Account > Email Lists and click the link to Manage Custom Fields in the bottom right. The text that you see in the Custom Field Name column for each field is the text that you will use for either a PUT or a POST.